Glass House Mountains National Park is on UNESCO’s World Heritage List for its amazing variety of native flora and fauna. 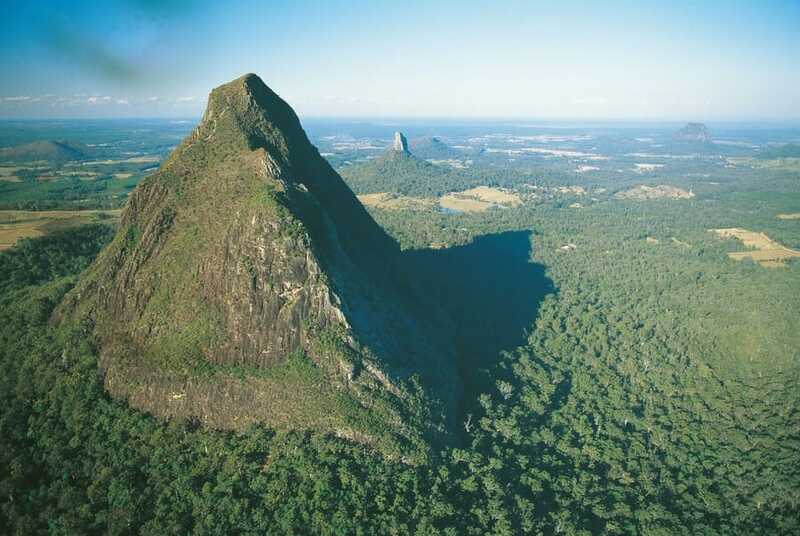 There are 11 mountain peaks in the park – including Mt Beerwah which stands the tallest at 556 metres. The mountains are made up of the ancient cores of extinct volcanoes which would have formed around 27 million years ago. Incredible!